A U-6A (L-20) De Havilland Beaver, 56-0396 circa Sembach AB 1964. 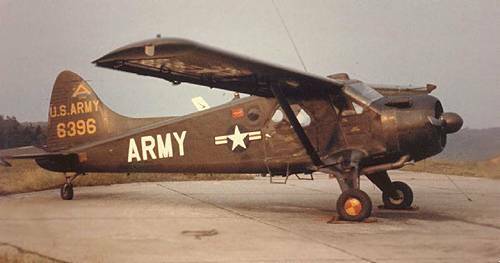 This aircraft was an asset of HQ Btry 94th Air Defense Artillery, Kaiserslautern. Dennis Newell was crew chief for this aircraft for 30 months. Photos by Dennis Newell.